You have a stamp collection for sale and you want to get the best price. What’s the best way of doing it? 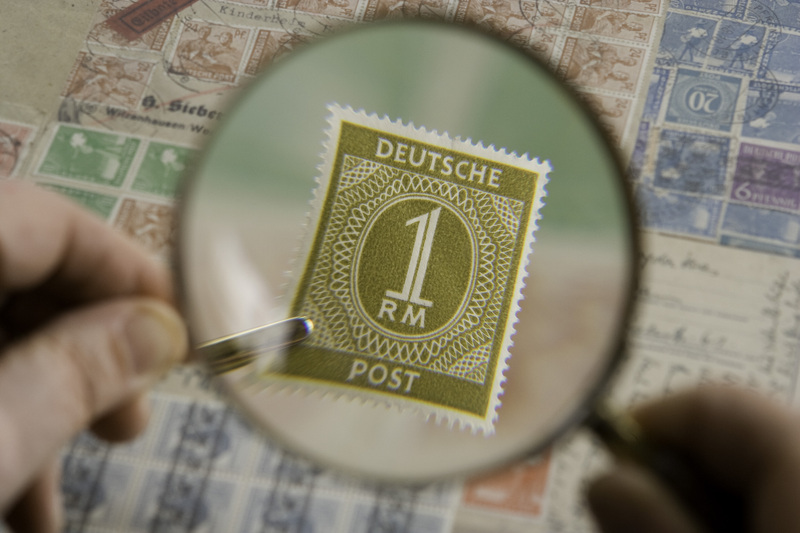 Philatelic professional Rick Warren share his expert advice. Of course, you could try acting on your own behalf, such as on eBay. That approach deserves its own article. Suffice it to say that you will avoid dealers’ charges, but it is by no means certain that you will end up with more. I know, I would say that. It just happens to be true. Let me tell you a story. When I was thirteen I inherited my grandfather’s collection. At the time I thought it was the greatest philatelic property that ever there had been. It wasn’t, of course. It was a good, general collection worth maybe £5,000 on today’s market. Significant, certainly. Earth shattering, not at all. But crucially, expanding it was way beyond the budget of a thirteen-year-old schoolboy on a few shillings a week pocket money. So I resolved to sell off what interested me less and put the money into what attracted me more. I quickly became disenchanted with the way I believed the dealers I contacted were treating me. That was more than fifty years ago and was effectively the start of a life-long career in stamps. The disenchantment had little to do with the speed or manner with which I was treated and everything to do with the offers being made. They were consistently lower than I thought they should be (my expectations were unquestionably idealistically high). I still remember that Philip Cockrill’s ‘The best offer of them all’ simply wasn’t, Urch Harris’ promise to value everything and not just the key items seemed hard to reconcile with the cheque they sent through and someone who claimed to have ‘£10,000 waiting for your stamps’ (big money in 1966) still had very much the same amount after buying a bunch of collections from me. Back then, I didn’t consign anything to auction. I didn’t want to wait or gamble with any uncertainty. Nor was I at all sure as to how to go about it. Only later did I learn that selling through auction couldn’t be simpler and that I could agree minimum sale levels (reserves) with the auction house well before the sale took place. Which is a pretty anecdote, but doesn’t address the fundamental question, as to which method, auction or private treaty, is the better. Both can be. Which means by extension that neither always is. And that even if it were, you cannot demonstrate it in any meaningful, fact-based way, since there is never a counter-factual to compare with – a fancy way of saying that you never know what would have happened if you had done the other thing. What I can do is identify some of the pluses and minuses in each case. Private Treaty is a cover-all term. Broadly it means that you enter into a private arrangement with another. That other can be an auction house, a dealer, a private individual or anyone or anything else. It covers outright sale to that other body, or an arrangement to find a third party buyer on your behalf, a contract for any combination of the two, or an agreement for some other mutually acceptable plan, with or without price guarantees. Thus, whilst it can simply be a cipher for a direct sale to a dealer, it can just as easily be the truncated heading for a more complicated arrangement. If anyone suggests otherwise, in my turn I suggest that someone is badly informed, manipulative, or both. Sale by auction involves little more than passing your material to an auction house and letting them get on with it. They will prepare it for sale and find the buyers. You will have to pay a commission for their services, typically between 10% and 20% with payment to you being made in general four to six weeks after the sale. There are caveats, but basically, that’s it. How much will you get for your stamps? It helps both parties if you have a clear idea of what (how much) you are hoping to get. In the cat-and-mouse, chess game that negotiations can become, you don’t have to divulge the amount, but with no more than fresh air as a comparison, on what basis are you otherwise going to decide whether what you are told is reasonable or not? I do appreciate that in some cases, such as a deceased estate, the seller has little to go on and really does need advice. Members of the Philatelic Traders’ Society are required to act honourably (which makes no comment whatsoever about non-members). The main advantage of an outright sale is that a deal is done and dusted. You know from day one exactly how much you are getting and you will probably have the money in your bank account within days, hours or even minutes. Generally speaking there are no deductions or commissions from the price agreed. With other methods of sale you should expect to have to pay something for the work done, for the commercial introduction, or both. There is no way of ever knowing for certain whether those charges are a cost worth absorbing, or not; if it helps, professionals appreciate that the competitive nature of an auction means that most things achieve at least a sensible sale value. Adverts have to be truthful, but they may be selective and put the best gloss on their case. In that sense they have to tell the truth and nothing but the truth; but not necessarily the whole truth. It’s an important distinction (guilty as charged, by the way.) You can see all sorts of complicated maths in advertisements, in support of claims along the lines of ‘If only you had done it some other (ie my) way.’ Such claims are all but impossible to substantiate or disprove; as stated earlier, there is never a counter-factual. My approach is generally to give a probable total sale value if sold by auction (£x), netting down to £y after charges and for which we will pay £z cash here and now, if the seller prefers. (z is normally about 90% of y). It’s a compromise, but it sort-of works! Your time is probably better spent identifying which firm(s) is/are suited to your purpose. If it’s a general property worth up to £5,000, the choice is wide and (probably) within 10% it is unlikely to make much difference how you jump and who you jump with. A specialised or valuable collection needs more careful handling preferably by a firm with both reasonable expertise in that area and financial solidity. If you want to test the waters, then take a day out and visit Stampex. Talk to a few stand holders. You are unlikely to come away feeling you’ve wasted your time.